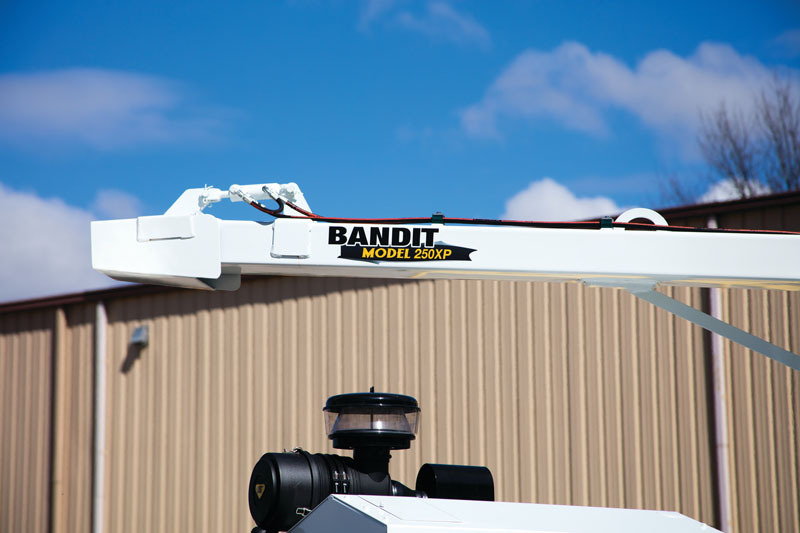 For a quarter century, 12-inch capacity Brush Bandit® disc-style chippers have served tree care professionals and municipalities around the world. 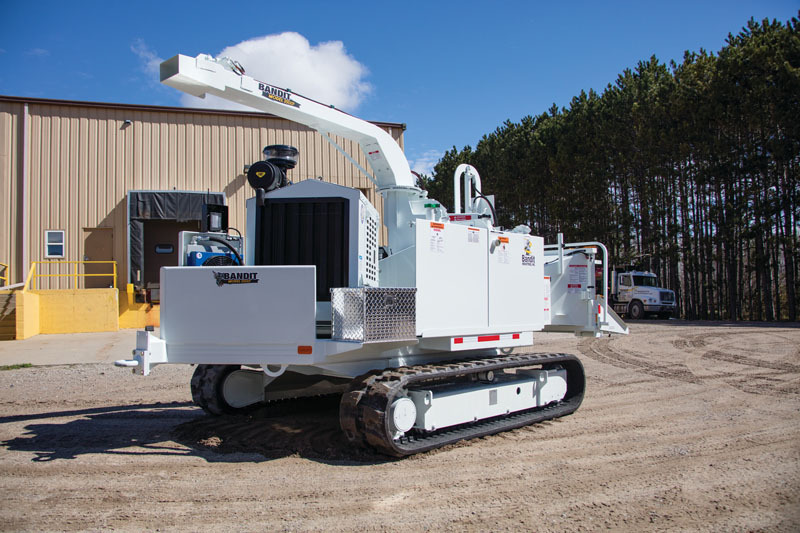 With over 20,000 units in operation, the Model 250XP is easily the most widely used Brush Bandit chipper in the lineup, and the track version makes this class leading machine even better. 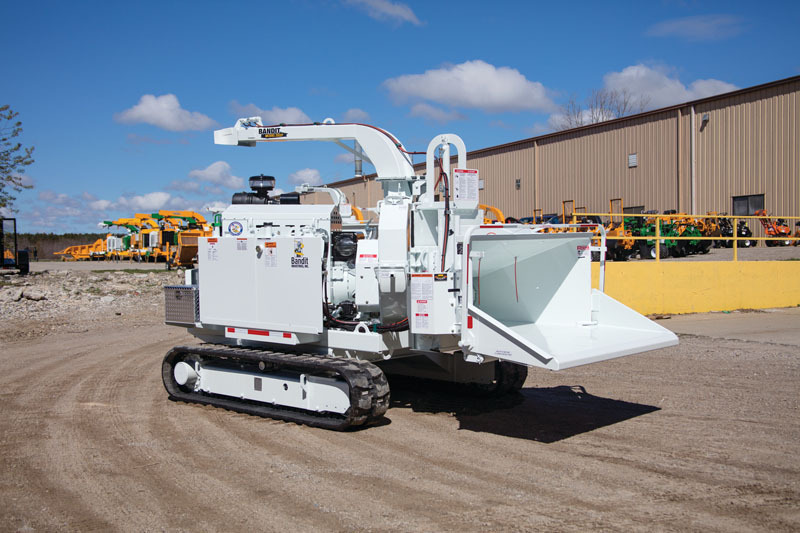 Riding on a CAT 303CR rubber-track undercarriage or an optional steel-track undercarriage, this exceptional 12-inch chipper is right at home in an all-terrain environment. 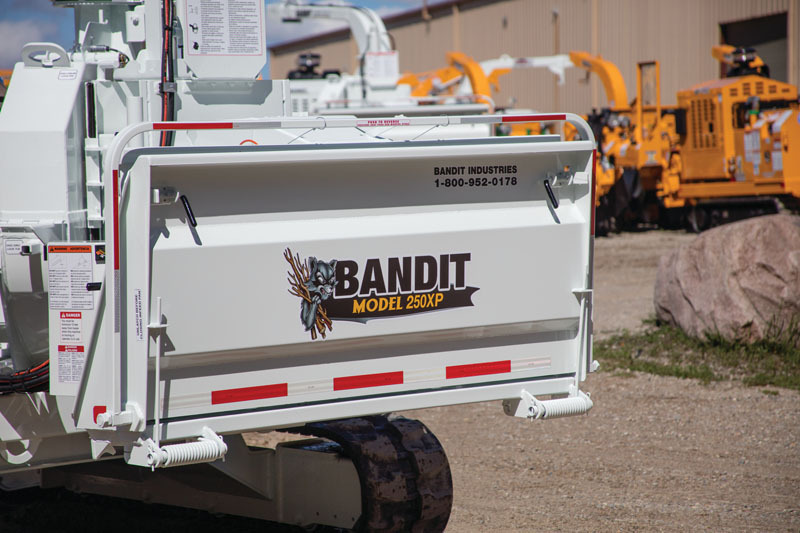 Officially rated as a 12-inch capacity chipper, the Model 250XP Track features a huge 12.5-inch by 19-inch throat opening, fed by powerful dual feed wheels mounted in Bandit’s proven Slide Box Feed System.